Malta needs better checks and balances to ensure proper rule of law on the island, according to the Council of Europe's rule of law experts. 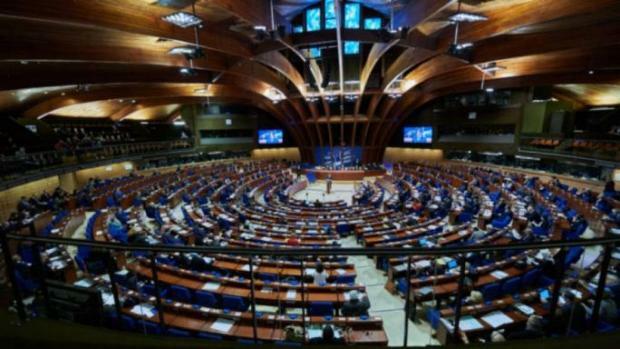 A statement issued by the European Commission for Democracy through Law, better known as the Venice Commission, on Friday said that the Office of the Prime Minister was at “the centre of power”, and warned of power imbalances. Other important actors such as, the President, Parliament, Cabinet, the Judiciary, and the Ombudsman, had too weak an institutional position to provide sufficient checks and balances, the commission warned. The Venice Commission provides legal advice to member states to help bring their legal and institutional structures into line with European standards. The Commission is made up of independent experts in the field of constitutional law. The Malta opinion follows a request made in October from the Legal Affairs and Human Rights Committee of the Council of Europe’s Parliamentary Assembly and another made separately by Justice Minister Owen Bonnici. The full position document is expected to be published next week, but according to Friday’s statement the experts found that the prime minister's powers far outstripped those of other important bodies. Taking into account the prime minister’s powers, notably his influence on judicial appointments, “crucial checks and balances are missing”, the experts found. “This problem is accentuated by the weakness of civil society and independent media,” they said. Although the legal experts praised recent judicial reforms as a “step in the right direction”, they said this still proved “insufficient” because too many power imbalances risked the proper rule of law on the island. According to the commission, Dr Bonnici highlighted an “ambitious” legal reform programme over the past six years aimed at strengthening good governance and the rule of law. 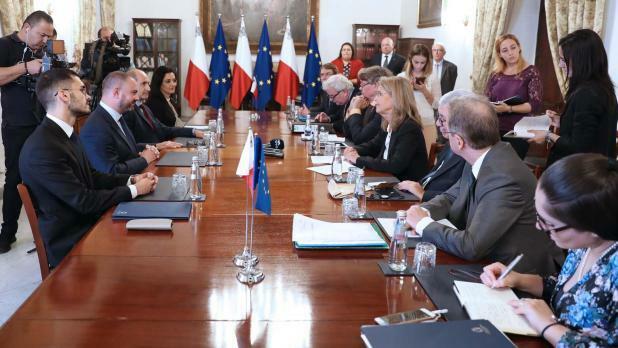 While the Venice Commission praised Malta’s Judicial Appointments Commission, for instance, it noted that this still fell short of ensuring the independence of the judiciary – and a proper system of checks and balances in government overall. Based on their visit to Malta last month, the experts also raised concerns about the “double role” of the attorney general as government advisor and prosecutor as “problematic”. In parliament, paying MPs only part-time salaries negatively affected their ability to operate independently from the executive. And, while the Office of the President may act as a moral authority, it did not have sufficient powers to act as an effective actor in the system of checks and balances, the experts say. Meanwhile, the Parliamentary Assembly’s request for a review of the situation in Malta was partly based on the assassination of journalist Daphne Caruana Galizia and the need for a properly functioning free press. While the Venice Commission says that it lacked the mandate and competence to examine specific criminal investigations or the veracity of allegations of individual cases of corruption and money-laundering made by the murdered journalist, the experts stressed Malta’s “international obligation” to ensure that media and civil society operated unencumbered. The government welcomed the Commission's comments, but said it would only give its official position once it had published its full report. In a statement, the government took note of the draft opinion and said the commission’s comments focused on laws and systems that were passed or implemented years back, and not about laws introduced by the current administration. “Where the draft opinion refers to laws enacted by this government, these are described as a step in the right direction,” the government said. Meanwhile, Justice Minister Owen Bonnici today addressed the 117th Plenary Session of the Commission in Venice. During his address, Minister Bonnici affirmed the government’s commitment to strengthen the rule of law in Malta. 1. Judicial vacancies should be publicly announced, an enlarged Judicial Appointments Committee should vet and rank applicants, including for the position of chief justice, and the committee should propose candidates directly to the Maltese President. 2. Dismissals of judges and magistrates should not be made by parliament. The constitution should be amended to provide that judgments of the constitutional court finding a legal provision unconstitutional will result directly in the annulment of that provision without intervention by parliament. 3. To remove the double role of the attorney general, an office of an independent Director of Public Prosecutions or Prosecutor General or Public Prosecutor should be established. This should take over the prosecuting powers from the AG, who could remain the legal advisor of the government. 4. The position of the president should be strengthened by attributing powers to act without the advice of the prime minister and possibly by electing the president by qualified majority. 5. MPs’ salaries should be increased to allow them to focus on parliamentary work. Parliament should be strengthened by tightening rules on conflicts of incompatibility with respect to appointments of MPs to officially appointed bodies. MPs should benefit from non-partisan information to perform their controlling function. This could take the form of increased research staff or the establishment a senior consultative body. 6. The appointing powers of the prime minister, regarding independent commissions and permanent secretaries, should be reduced. Appointments to positions of trust should be strictly limited.